A few years ago, a friend bought me a wonderful little book entitled And To Every Beast..., one in a series of beautifully-illustrated thematic mini-volumes collectively entitled Treasures of the Vatican Library. All of them combine biblical quotations with illustrations selected from various tomes or manuscripts held in the vast collection of the Vatican's library (which contains over one million printed books, as well as 150,000 manuscripts and some 100,000 prints). 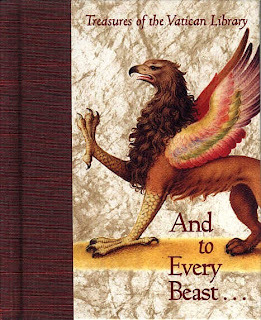 And To Every Beast... focused upon animals, real and mythological, but it greatly intrigued me, because although it contained versions of several famous illustrations present in other bestiaries, it also included some eye-opening pictures that I'd never seen before, of creatures that were so extraordinary as to be scarcely identifiable with anything known either to modern-day zoology or to zoomythology. This made all the more frustrating the fact that it did not state anywhere within its pages the original book or manuscript in the Vatican library that was the source of its pictures. Happily, however, an online investigation via Google soon uncovered that elusive source publication. 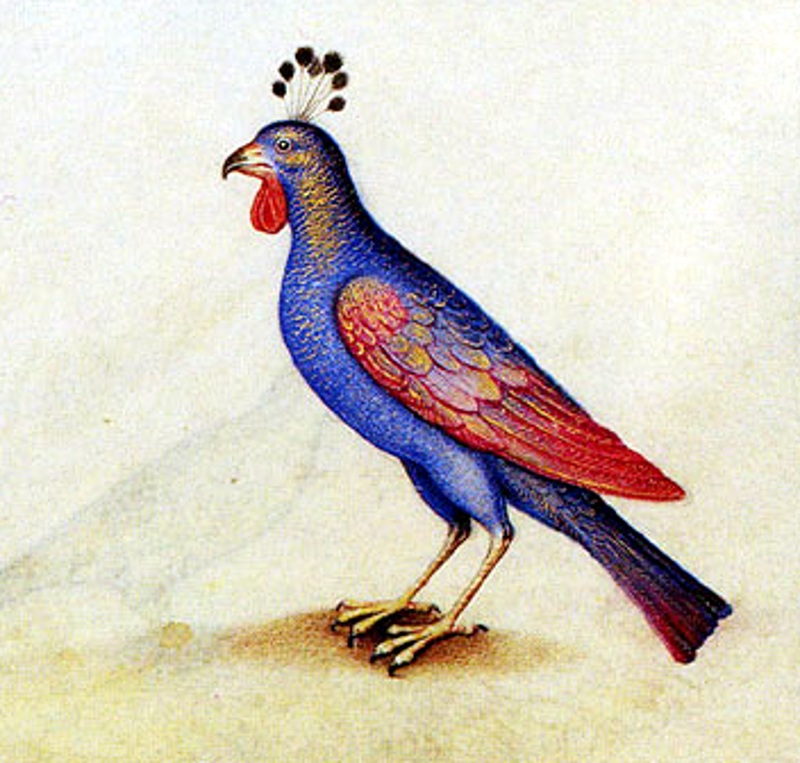 It was The Animal Book, written by famous Italian humanist and Renaissance author Pietro Candido Decembrio (1399-1477), commissioned by Ludovico Gonzaga, Marquis of Mantua, and published in 1460, with its illustrations added during the next century. So now, having solved that little mystery, here are some of this early tome's most fascinating if baffling illustrations, together with some commentary by me on what they may, or may not, depict. 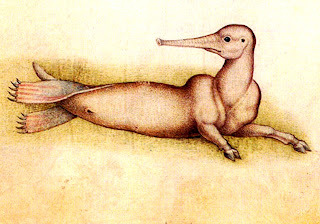 And where better to begin than with the totally bewildering, ostensibly aquatic mystery animal featured in the illustration opening this ShukerNature blog post and reproduced again below. Scouring the Web, I have found that some sites have sought to identify it as a sea lion, but I see little if any resemblance to those particular pinnipeds. More plausible, even if only for the trunk-like proboscis, is an elephant seal, but the depicted beast's long tail and, especially, its hoofed forelegs, swiftly eliminate this from serious consideration – unless the artist was attempting to illustrate such a creature merely from a verbal description (and quite probably a somewhat less than accurate one at that), rather than a physical specimen, because elephant seals weren't known scientifically until the mid-/late 1600s. Similarly, the aardvark Orycteropus afer, another potential identity (albeit greatly distorted), remained scientifically undescribed until 1766; and the platypus Ornithorhynchus anatinus, which has also been suggested by some, remained unknown to Europeans until 1798. When I first looked at this picture, the identity that came into my mind was that of a desman, especially the Russian desman Desmana moschata - that large aquatic relative of moles, which possesses a proboscis, a long tail, and clawed flipper-like hindfeet. 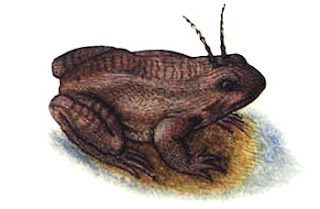 However, this species' forefeet are also clawed and flipper-like, not hoofed (unless, once again, the artist was basing his illustration upon an inaccurate verbal description only?). Out of sheer desperation, I might even have considered the dramatic possibility that this was a portrait of the enigmatic Trunko - had I not been personally responsible for the latter entity's conclusive exposure as a non-living globster (click here for the full revelation). Perhaps the most reasonable assumption is that it represents some hoax taxiderm specimen, created via the skilful union of body parts from a variety of different creatures and displayed at sideshows or other public exhibitions, alongside stuffed mermaids, preserved dragons, dried Jenny Hanivers, and other assorted fauna of the fraudulent, fabricated kind. Equally perplexing is this illustration of a humanoid figure completely covered in green scales. 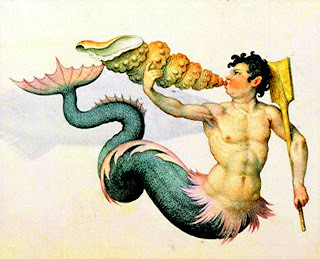 One might be forgiven for initially assuming that it was meant to represent a merman. 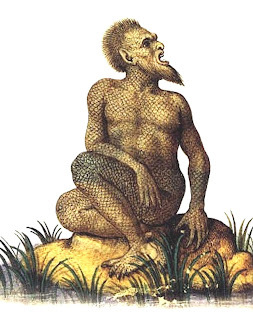 However, it possesses neither a fishtail (sporting instead a normal, fully-formed pair of legs) nor even any webbing between its fingers, in stark contrast to typical mermen – one of which is depicted elsewhere in the same book, thereby emphasising the difference between itself and this weird scaly human. Conversely, it may constitute an image of a man suffering from ichthyosis – a sometimes-extreme skin disorder in which the sufferer can indeed be covered in thick green scale-like flakes of skin. In the distant past, several unfortunate persons with this unsightly but striking medical condition have been displayed at freak shows and similar exhibitions, usually labelled as 'fish-men'. Much the same problems arise with many of the other creatures depicted in Candido's book, i.e. are they (a) mythical, are they (b) real but sometimes inaccurately represented, or are they (c) potentially cryptozoological? 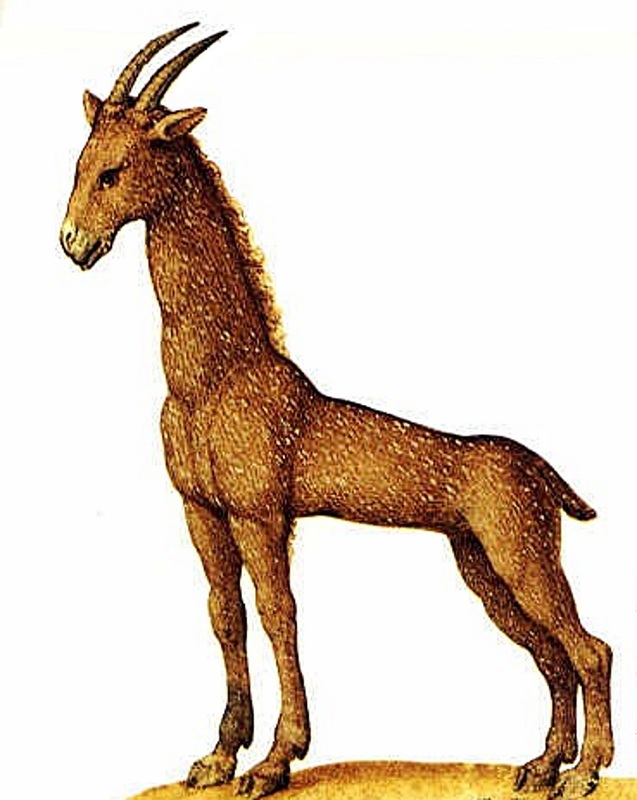 Examples clearly belonging to the first of those three categories include a basilisk and a cockatrice, a griffin, an amphisbaena, a manticore, a flying horse, and a pair of onocentaurs; plus a donkey unicorn (or unicorn donkey? ); a more typical white unicorn but with a red face and tricoloured horn; a manticore-related, tapir-reminiscent beast of legend known as a leucrocuta; a hairy dog-headed man or cynocephalus scrutinising a goblet of red wine; a peacock-crested, azure-breasted phoenix with crimson wings and rooster-like wattles; and a bat-winged, scaly-bodied, limbless aerial dragon known as an amphiptere. Those from the second category, meanwhile, include such familiar beasts as a lion, a lynx, a leopard, an eagle, a lammergeyer, an owl, an elephant, a stag, various hounds and horses, and a pelican, all depicted fairly or very naturally. Also present, but in stark contrast to the above-listed animals in terms of accurate representation, is a brown giraffe patterned only with a light speckling of small white flecks and armed with a pair of long curved antelope-like horns. Nor should (or could!) 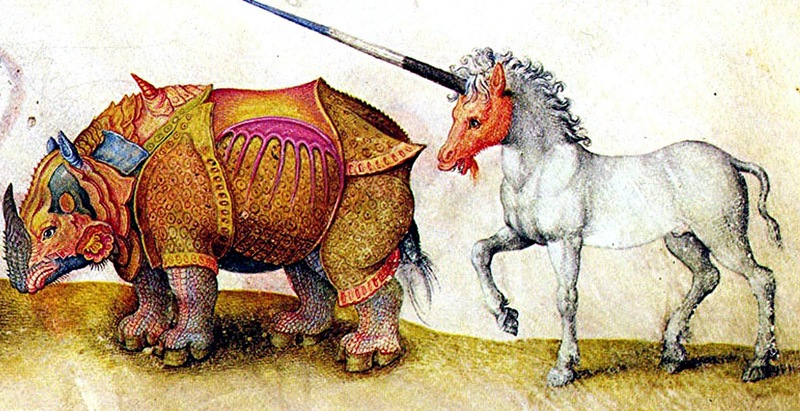 we overlook a gaudy multicoloured rhinoceros with extraordinary body armour that was clearly based upon the famous rhinoceros engraving of 1515 by Albrecht Dürer. And creatures from the third (and most intriguing) category not only include the trunked mystery beast and scaly humanoid already discussed here. Also worthy of consideration are such curiosities as a snake bearing a veritable crown of horns around its brow; another one with a pair of lateral cow-like horns; a carnivorous deer (judging from its dentition) with antlers so palmate in shape that they resemble a pair of human hands; an even more mysterious carnivorous mammal with claws but a horse-like mane plus bright red fur mottled with grey and gold patches; and a frog sporting a pair of very long, slender, almost upright horns upon its head. What could have inspired such zoological oddities? A verbal description of a horned viper may possibly have inspired the bovine snake's depiction, but what of the others? 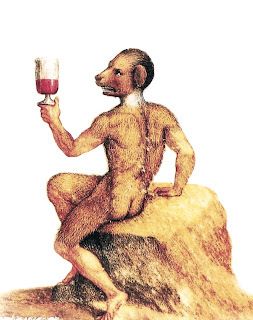 Whoever would have guessed that the Vatican was such a rich repository of cryptozoological and zoomythological exotica? And if you can obtain a copy of And To Every Beast..., please do so, because it's a thoroughly delightful, beautiful little book – highly recommended!!! Your red mystery carnivore is a hyena. I have seen several ancient drawings of this carnivore and they all look very similar to that drawing. The traditional hyena in European art was the striped hyena but this is clearly the spotted species. The bright coloring is due to the word red being used for orange in ancient times. The color 'orange' was only coined after the fruit of the same name was introduced and this is why orange cats are still called red by breeders. The hyena spots are rather purple but this is still a rather good picture of Crocuta crocuta, especially since it is no doubt based on description rather than on a live specimen. The Scaly Man... Out of morbid curiosity and blatant boredom a few years back, I looked into Ichthyosis. If the fellow described by the book you mention had this genetic disorder, it would most likely have been one of the mildest forms - still very odd-looking. A greenish tinge to the skin of the sufferer would not be unlikely. (The most severe, of course, is Harlequin Ichthyosis, which is heartbreaking for the parents and usually fatal to the unfortunate infant - unless, of course, I am mistaken and there is a more horrific genetic skin abnormality out there. If there is, don't tell me about it). Very interesting theory about the odd flippered creature, however. I too thought a platypus was being described (despite the improbability of anyone having seen one at the time) until you mentioned the desman. Thanks for the new information. They called the antelope horned giraffe thing Camelopard. Camelopard was the ancient name for the giraffe in general, as it was erroneously believed to be the offspring of a liaison between a camel and a leopard. Its taxonomic name commemorates this, as it is Giraffa camelopardalis. Some early depictions of giraffes were accurate, as they were clearly based upon sightings or accurate descriptions, but others, like the one here, were very inaccurate, and the addition of long antelope-like horns with sharp points is a common feature of the more inaccurate ones. Are you sure the oenophile is really an oenophile? That looks more like tomato ketchup to me. In Europe in Austria we have a legend about a scaly man called "the Waasen Steffel" he was said to be a merman but with legs and hair quite similar to the guy on the picture. He was described to obtain speak and also little tasks as servant. One day he dissipater in to the river he was named after. And just today I read a complete fitting description about the pheoenix which is said to look like in China. Is The Animal Book by Pietro available in print? 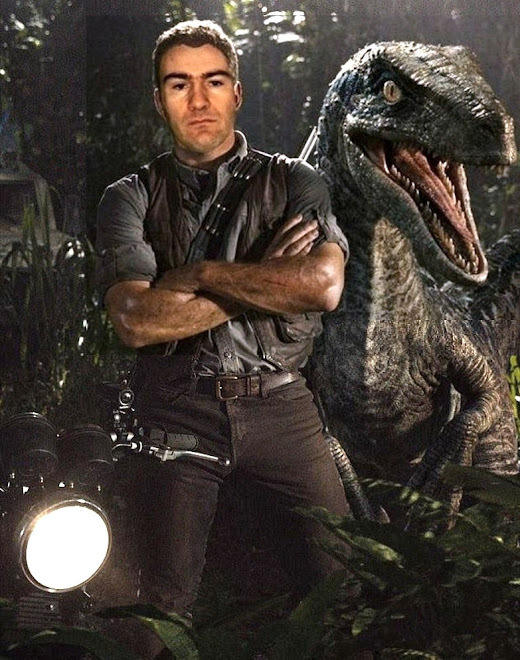 The red mystery carnivore is called Arenotelicon, it is not based on any known animal. This is that very same creature which is purpoted to have terrorized France during the 18th century under the name of Beast of Gévaudan. It is described to be a blend of cat, dog and bear. IMO somekind of recent amphicyonid or hemicyonid.